Sweet Lincoln on a board! 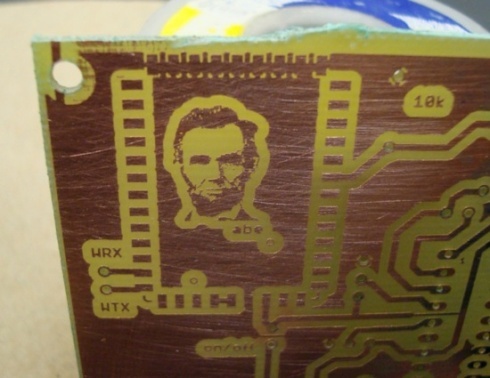 This portrait of Abe Lincoln etched onto a PCB is too fun to miss. 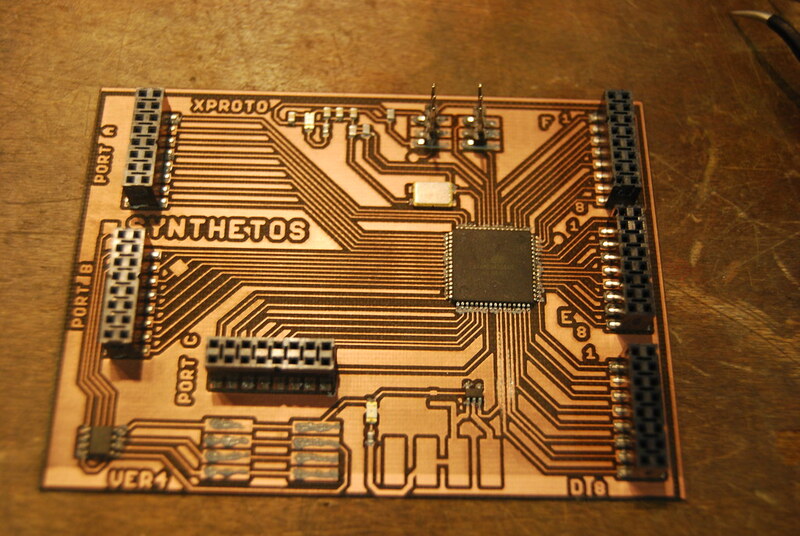 We’ve hidden signatures, graffiti, and love notes in the copper of PCBs. How do you sign your boards? This entry was posted on Wednesday, February 17th, 2010 at 8:41 am	and is filed under idle. You can follow any responses to this entry through the RSS 2.0 feed. You can skip to the end and leave a response. Pinging is currently not allowed. Reminded me of an LPC flash emulator I saved from the recycle bin at work; I opened it up trying to sort out what it was and found a picture of Jimi Hendrix on the PCB silkscreen. Next is to bake in a circuit next time. I try to use copper to do quite a bit of the words needed too!